We work with a global network of trusted partners — ranging from semiconductor and software companies, to service providers and NGOs — in order to build and deploy deeply innovative mobile network solutions. Lime Microsystems specializes in field programmable RF (FPRF) transceivers for next generation wireless systems. Their devices are at the heart of the Fairwaves UmTRX platform, offer unprecedented flexibility and enable us to create solutions which are both highly efficient and cost-optimized. Rhizomatica’s mission is to increase access to mobile telecommunications to the over 2 billion people without affordable coverage and the 700 million with none at all. Fairwaves and Rhizomatica worked together to bring the first ever mobile service to a Mexican village with around 700 inhabitants. Sumitomo Corporation Central Eurasia (SCRE) operates as a subsidiary of Sumitomo Corporation. 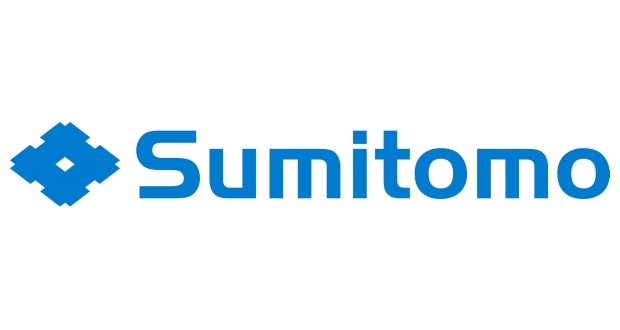 With its global network and based on trust from companies in various industries and from consumers, Sumitomo Corporation engages in multifaceted business activities by making the most of its Integrated Corporate Strength. SCRE actively support Fairwaves with selected projects in the Eurasian region. Event Connection is an IT company specializing in the creation of complete networks for events, and having been active in this area since 1999 they are considered an early pioneer. Fairwaves and Event Connection worked together to provide private GSM coverage across the city of Nijmegen in August 2013 during the “Walk of the World”, one of the largest festivals in The Netherlands. Fairwaves has partnered with Canonical through participation in their Internet of Things programme. A collaboration that will bring the power, flexibility and convenience of Linux Containers and transactional updates, to the remote management and upgrade of Fairwaves network infrastructure. Metaswitch is powering the transition of communication networks into a cloud-based, software-centric future. At Mobile World Congress 2015 Fairwaves, together with Metaswitch and other partners, demonstrated a new telco service deployment of a cloud-based IMS core and application server integrated with a UmSITE base station and real mobile network. Truphone is a global mobile network that operates its service internationally. It has headquarters in London, and offices in Australia, Germany, Hong Kong, Philippines, Poland, Spain, the Netherlands, Portugal and the United States. At Mobile World Congress 2015 Fairwaves base station equipment was used together with handsets equipped with Truphone SIM cards as part of a multi-partner demonstration. TeleStax provides Open Source Communications software and services that facilitate the shift from legacy SS7 based IN networks to IP based LTE and IMS networks hosted on private (on-premise), hybrid or public clouds. A collaboration for MWC 2015 demonstrated mobile originated calls routed via a Fairwaves base station and to an interactive voice response (IVR) system running on TeleStax’s RestComm. FreeSWITCH Solutions is a consulting firm and support provider that focuses on business applications of the scalable open source telephony platform, FreeSWITCH. The company is owned and operated by the core developers and authors of FreeSWITCH, with a team that offers an unbeatable coalescence of nearly 50 years of combined FreeSWITCH experience. The partnership enables Fairwaves to closely integrate with FreeSWITCH and deliver solutions that are easier to use, maintain and extend.